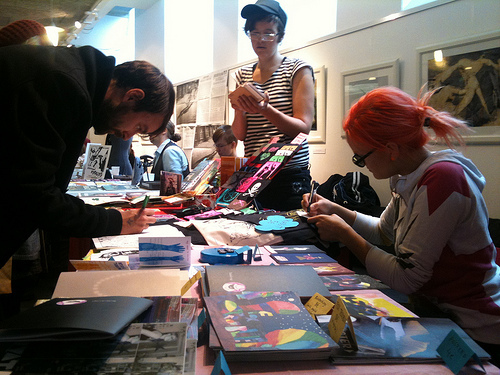 To my considerable regret, I could not attend the Helsinki Comics Festival this past weekend. It looked awesome, and sounded even more so from what I heard from Bunker associate Thomas Thorhauge, who was there as part of the Danish delegation, which also comprised one-time Bunker contributor Cav Bøgelund, as well as our buddies Simon Bukhave, Steffen Rayburn Maarup, Søren G. Mosdal and Christian Skovgaard. For those who read Danish, Thomas’ reports are here and here, while him and Cav have put together a nice flickr-set for everyone’s non-linguistic enjoyment.